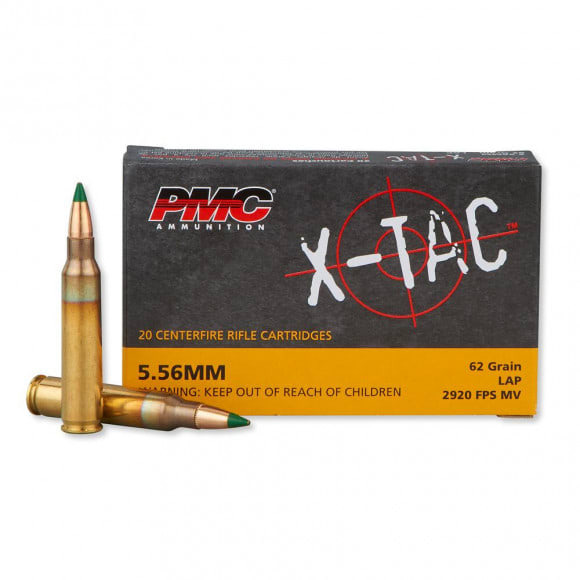 PMC 556K: The X-Tac round from PMC ammo is a 5.56mm M855 cartridge with a LAP Green Tipped bullet that weighs 62 grains. This is a high performance penetrator round. Hard hitting and exceptionally accurate this is the same round that PMC produces for the South Korean Military. This ammunition is packaged with 20 rounds in a commercial box and 50 boxes in a 1000 round case. 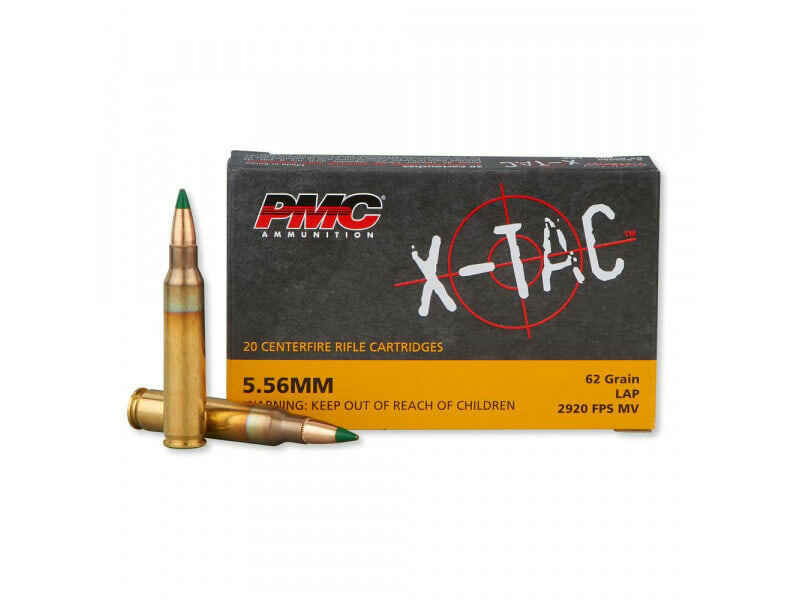 We sell it by the box with a price break at the ( 20 Box ) case quantity. .
PMC is gaining popularity in the US market and has now come out with their own 5.56x45 penetrator round. This M855 steel core 62 gr FMJ round is manufactured to mil-spec and offers great penetration with the added benefit of being more cost effective than many of the American manufactured rounds.Loaded to NATO’s M855 specifications, this “green tip” ammunition uses 62-grain steel-cored full metal jacket bullets for high penetration. The heavier bullets result in a muzzle velocity of about 2,920 fps. 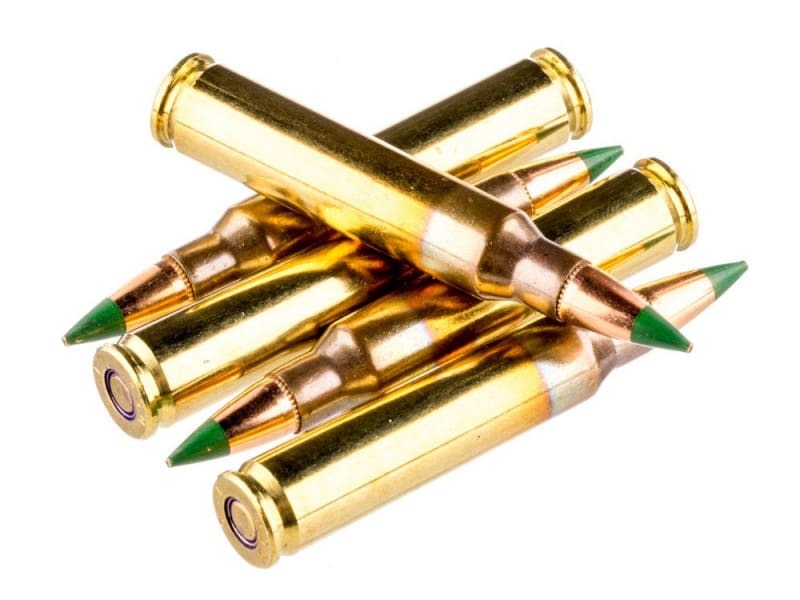 Ammunition is boxer-primed with fully re-loadable brass cases. 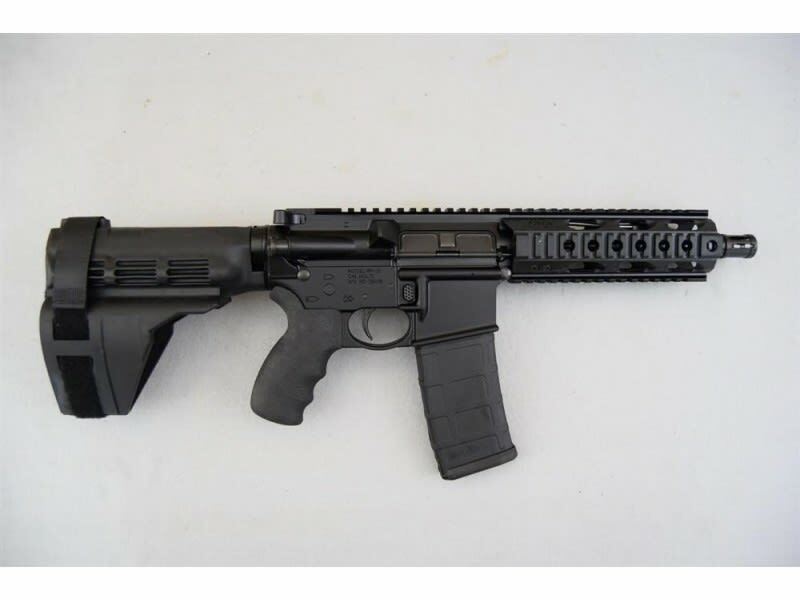 Note - This ammo is5.56x45 NATO ammo, and as such should not be used in commercial bolt action .223 Remington chambered rifles. Due to its steel core, this ammunition should not be used on reactive steel targets for safety reasons. 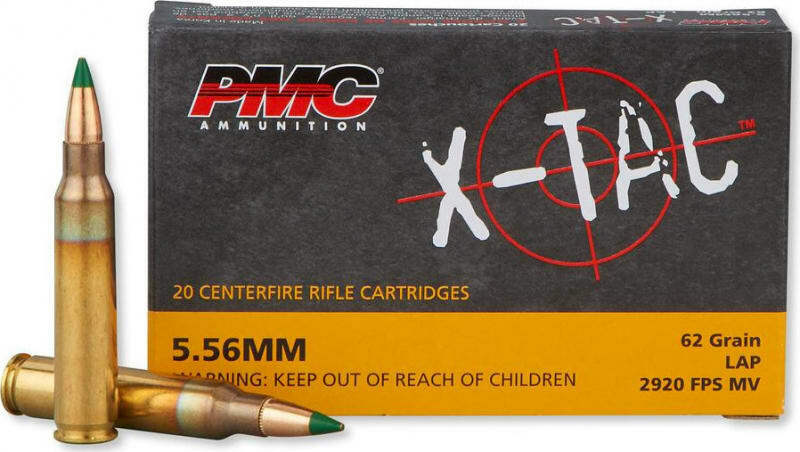 Poongsan Corporation is the manufacturerof this fine PMC ammo and has supplied the South Korean armed forces with munitions for decades and employs strong quality control capabilities to help its ammo meet exacting military specifications. As a result, X-TAC ammunition enjoys a reputation for consistency and strong performance. This ammunition is packaged with 50 rounds in a commercial box and 20 boxes in a 1000 round case. We sell it by the box with a price break at the ( 20 Box ) case quantity. .